We’ve all been here. You’re in Starbucks, and you hear a song that really catches your ear, so you open the Shazam app in order to identify the song, then you get the name of the song, then you open Prime Music to see if Amazon offers it for free, then you see that no, Amazon doesn’t offer it for free, so you go to the iTunes Store and buy the song, then you listen to that song for the next several days. We’ve all been there, right? Please say yes. I don’t want to feel like I’m the only one who obsesses over songs. It turns out that the song in question came out a few years ago. 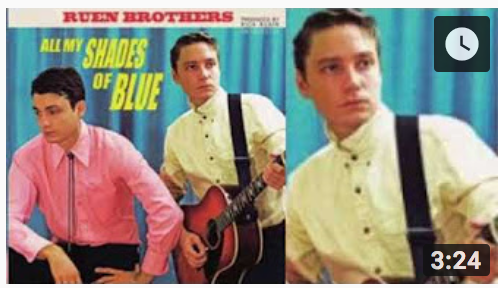 It’s called “Summer Sun” by the Ruen Brothers. I highly recommend it. The song is the epitome of “low key.” Literally. The opening vocal sounds like a Roy Orbison song. Then the instruments join in, all at a low pitch, to match the singer’s baritone vocal range. Even the guitar solo sounds like it was played on the lowest two strings. The money shot is the climbing vocal climax, that’s reminiscent of the goosebump-rising vocal in “When your mind’s made up” by Glen Hasard (a previous obsession). Every time the song ends, I think to myself: “What?! Over already? You just got started!” So I have to listen to it again. This all started on Friday. It’s now Monday, and the song is still in my head. Songs won’t give you cancer or make you fat, so if I have to binge on something, at least there isn’t any physical harm. So I’ll feed my obsession.